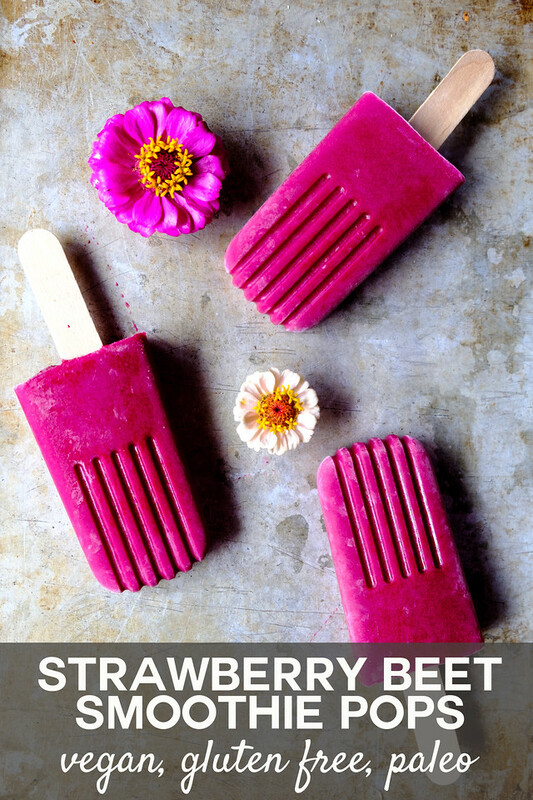 In addition to their gorgeous color these Strawberry Beet Smoothie Pops are healthy, easy, vegan, gluten free and paleo! Best of all they are absolutely delicious! We eat them as a healthy dessert! Smoothie Pops – An Easy Healthy Dessert! I was late to the smoothie bandwagon, but after getting my Vitamix, I embraced it whole-heartedly. We love smoothies so much, we save them for a dessert. The only problem is that after eating dinner, I don’t feel like chopping and blending up dessert. We’ve solved the problem with frozen made ahead smoothie packs, which is nice, but it’s still blending after dinner. Well, I’ve found my summer answer. 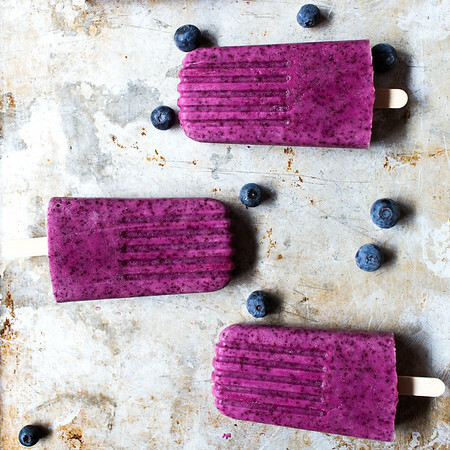 Smoothie popsicles! They are perfect. I blend them up ahead of time, freeze them up, and dessert involves nothing more than getting them out of the freezer. 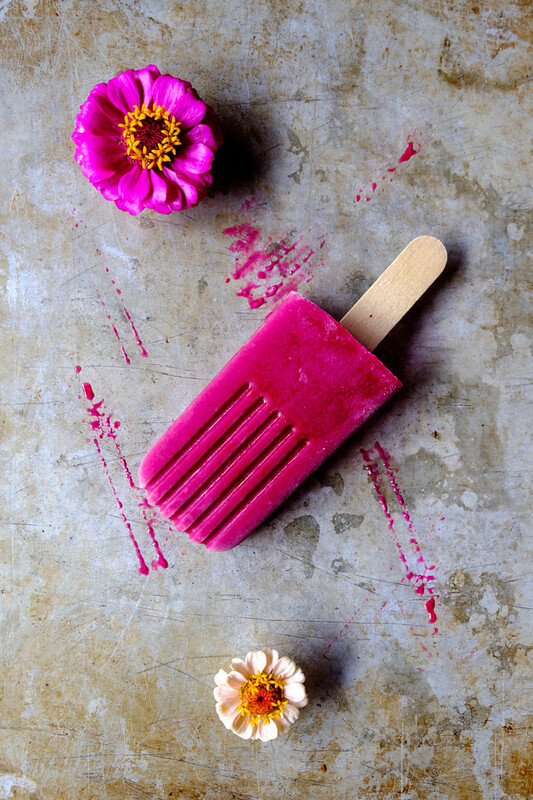 These Strawberry Beet Smoothie Pops are my first, but they won’t be my last. Here’s how I do pops. I use pop molds similar to these. I fill them up about a half inch from the top. Instead of putting the plastic stick in them, I set them in the freezer for about 40 minutes to an hour and then insert a wooden stick. There’s just something about eating pops off a wooden stick, I have to have it! After they’ve frozen solid, I unmold them one at a time, by lowering them into a glass of water. It usually only takes about 20 seconds. Then I wrap them in wax paper and place them all in a ziploc bag back in the freezer. Easy peasy. I found the recipe for these in Donna Hay’s Fresh & Light Magazine. She called for raspberries, which I didn’t have, but I did have some juicy ripe strawberries. These are so good. A little creamy from the cashews with a sweet tart flavor from the strawberries and beets! 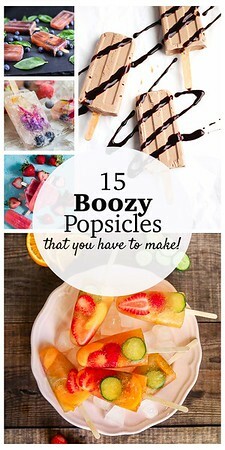 I pan on making lots more of these smoothie pops, using smoothies from some of my favorite Smoothie Books: Superfood Smoothies and The Blender Girl Smoothies. 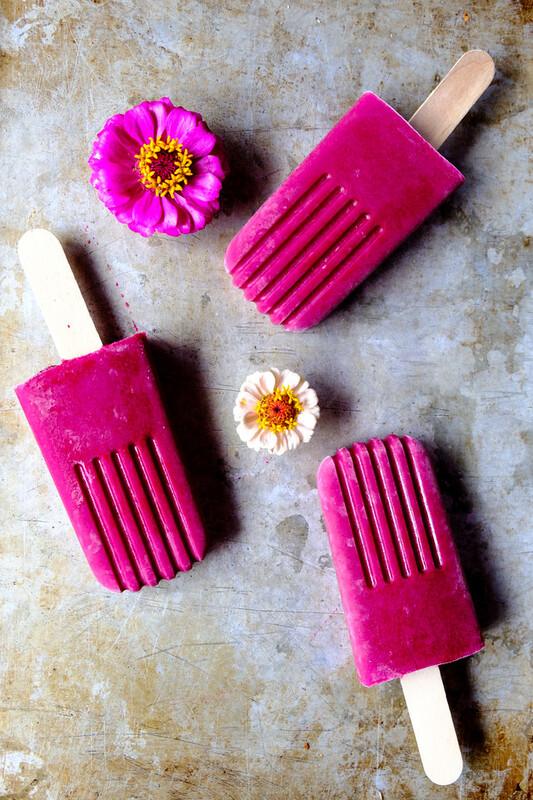 Turn your smoothies into healthy frozen treats with these Beet Strawberry Smoothie Pops. Place the cashews in a bowl and cover with boiling water. Let set aside for 10 minutes to soften. Drain and add to blender along with 1/2 cup of orange juice. Blend until smooth. Add the remaining orange juice, the orange rind, the beets and the strawberries to the blender. Blend until smooth. Divide between 8 pop molds. If your molds come with sticks and handles, insert them now. Otherwise, freeze for about 40 minutes and insert wooden sticks. Looking for more frozen pops? These look and sound delicious! Thanks so much for sharing at TFT. I am featuring you at this week’s party! 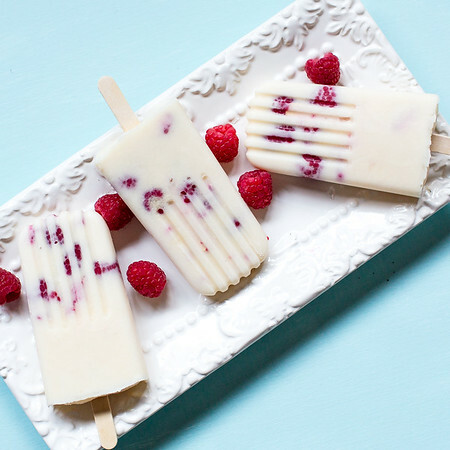 Pam, these popsicles look so radiant and healthy and just overall gorgeous! Love that they’re vegan too 🙂 I’m featuring these over at the Friday Favorites linky party this week: https://be-alice.blogspot.com/2018/06/friday-favorites-week-431.html Hope to have you back again this time! These look absolutely delicious! I love the color of them too! These look good and they are so pretty. I love the combination of Beets and Strawberries for these smoothie pops! Thanks so much for sharing with us at Full Plate Thursday, have a great weekend and come back soon! I can’t wait to try this recipe. I have wanted to try a recipe with beets in it. I just happen to have some beets that need a purpose in life and this is it! What a unique recipe and I love the color of these pops! We call these ice blocks (no cream or milk) and ice creams if they do. The English call them ice lollies. Lollies for us are what I think you call candy – but not chocolate. A chocolate bar is just chocolate bar. Love the color of those creamy popsicles. I like the look of these pops. Nothing says summer like a Popsicle! Healthy ingredients too.